ABA Center for Professional Responsibility - American Bar Association provides national leadership in developing and interpreting standards and scholarly resources in legal ethics, professional regulation, professionalism and client protection mechanisms. ABCNY Ethics - Association of the Bar of the City of New York Committee on Professional Ethics Opinions and Ethics Hotline. American Legal Ethics Library - Codes and rules setting standards for professional conduct of lawyers organized on a state by state basis. Maintained by Cornell Law School's Legal Information Institute (LII). Association for Practical and Professional Ethics (APPE) - Encourages interdisciplinary scholarship and teaching in practical and professional ethics by educators and practitioners. Carnegie Council - Promoting ethical leadership on issues of war, peace and global social justice. Criminal Justice Ethics - Published on behalf of John Jay College of Criminal Justice, CUNY. Ethics and Professional Responsibility Law - Directory of state bar association and ethics rules and opinions links. Ethics Hotliner - A confidential research service for attorneys only, helps lawyers identify and analyze their professional responsibilities. Provided by the State Bar of California. Ethics Institute - Dartmouth College site that strives to facilitate scholarship and teaching in applied and professional ethics. The Ethics Institute exists to foster the study of applied and professional ethics throughout the Dartmouth community. Ethics on the World Wide Web - Directory of ethics-related links maintained by School of Communications at California State University, Fullerton. Global Compliance - Consulting firm and global provider of comprehensive, integrated ethics and compliance solutions, including employee hotlines and case management; training and education; and organizational assessments. Legal Ethics Forum - Explores breaking news and new cases that deal with legal ethics. Legal Ethics Research Guide - Selected resources rovided by the Georgetown Law Library. See similar guides at Cornell University Library and Washington University Law School. 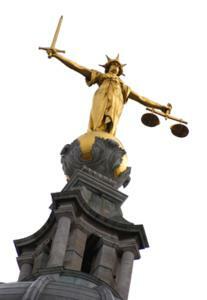 LegalEthics - Ethics and the law links and information. 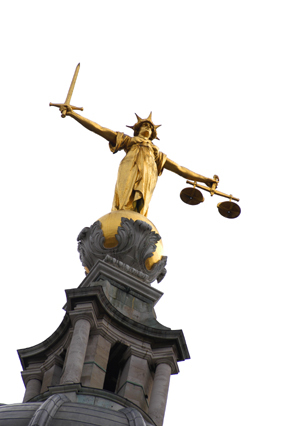 Solicitors Regulation Authority (SRA) - Regulates solicitors in England and Wales. Search, browse or print the Solicitors Code of Conduct and related material on professional conduct and regulation. Maintained by Wells & Drew. State by State Ethics Rules Governing Lawyer Advertising, Solicitation and Marketing - Maintained by Wells & Drew. What Paralegals Do (and What Lawyers Shouldn't Do?) - One of the most significant factors inflating legal costs is the use of people with seniority (and billing rates) higher than is necessary. Clients have every right to insist that law firms permit paralegal tasks to be performed only by paralegals. People, however, may differ as to which tasks can be appropriately assigned to paralegals. To assist clients and managers of outside counsel, this page lists tasks that are performed by paralegals. This webpage last updated on Wednesday, January 6, 2016 5:36 PM.